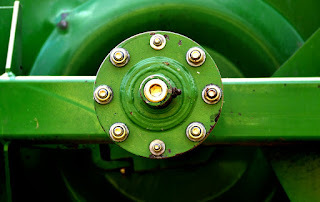 Agricultural engineering involves the development of farm machinery and implements (used for tilling of soils, planting of seeds, harvesting of crops) and machinery for storage and processing of crops into agricultural products. From the definition above, you can easily unfold the various job or career opportunities that await a graduate in the field of agricultural engineering in Nigeria. But for the sake of this post I would divulge that to you in clear and simple terms. I believe you already know what a commercial farm is. Commercial farms are those farms that produce agricultural products in large quantities for the general public. We have so many large commercial farms in Nigeria, many of which are found in the northern parts of the country. In other words, agricultural engineers mechanize the entire farm process making it easier to perform enervating task of weeks to be done in just one day. Apart from the development, maintenance, as well as operations of farm machineries, it is the duty of agricultural engineers to solve the problem of storage of the agricultural crops and animals. Agricultural engineers produce such storage device like silo, barn and so on. Manufacturing industries are industries that turn or convert raw materials into refined products. They are myriads of manufacturing industries available in the country (Nigeria) but some of these industries are not employers of agricultural engineers while some of them are employers of agricultural engineers. For example an oil refinery is not an employer of agricultural engineers but a manufacturing industry like a rice refinery is a big employer of graduates in the field of agricultural engineering. We have so many other manufacturing industry that process crops into agricultural produce that are seeking graduates of the discipline of agricultural engineering. HIGHER INSTITUTE: Agricultural engineers like every other discipline can pursue a career in the teaching profession. There are so many higher institutes that offer admission into an accredited agricultural engineering program in Nigeria. RESEARCH INSTITUTE: Agricultural engineers are also researchers. Research happens to be an exigency in the field of agricultural engineering. This is because the field of agricultural engineering demands more knowledge and insights to how to increase the yields of production in a way that is greater than the latter. There are so many research institutes that are available in Nigeria. Government establishments: Agricultural engineers can also work in governments establishments. They work as implementers or executioners of projects headed by the minister of agriculture. Agricultural engineering combine several engineering principles to achieve their objectives. They are required to gain mechanical skills in the solving of various problems. To be a great agricultural engineer, you must love agricultural science, mathematics and physics related topics like machines, force, friction etc. you must also have that burning passion for agricultural engineering. Agricultural engineering is a mixture of physics, mathematics and agriculture to solve various problems in agriculture. Agricultural engineers are also problem solvers. You must be ready to solve any problem at any time in the field of agriculture. No Response yet for "About agricultural engineering and its job opportunities in Nigeria"